The Organization of Petroleum Exporting Countries has reportedly crafted a deal with several non-OPEC nations, led by Russia, to extend the current oil production cuts to the end of next year. Some details of the agreement are still being hammered out, according to sources with knowledge of the matter. The deal participants are expected to meet in Vienna next week to further discuss the extension of their output curbs. The participants have agreed to curb oil output by about 1.8 million barrels per day until March 2018. Saudi Arabia has been pushing for an extension for nine months until the end of 2018. Russian President Vladimir Putin suggested in October that Russia backed that position. The deal is expected to be officially announced on Nov. 30. Russia and Saudi Arabia haven’t yet agreed on the new language. Russia reportedly wants the new deal to link the size of the curbs to the health of the oil market. 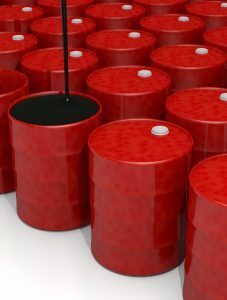 The discussions have included linking the cuts to the supply-demand balance on the global oil market or the level of fuel inventories in industrialized countries. Advancements in U.S. shale oil production has made it harder for OPEC to reduce the global supply of oil. U.S. crude hit a two-year high of $58.05 a barrel on Wednesday. Venezuela’s Oil Minister Eulogio Del Pino put the optimal price for crude at between $60 and $70 dollars a barrel. According to a statement from the Kremlin, President Putin talked with Saudi King Salman bin Abdulaziz on Nov. 21 about “further coordination between Russia and Saudi Arabia in the global hydrocarbon markets.” Oil ministers are due to start arriving in Vienna for the talks early next week. The deal could be reviewed again next year, as OPEC will probably hold a regular ministerial gathering in mid-2018.